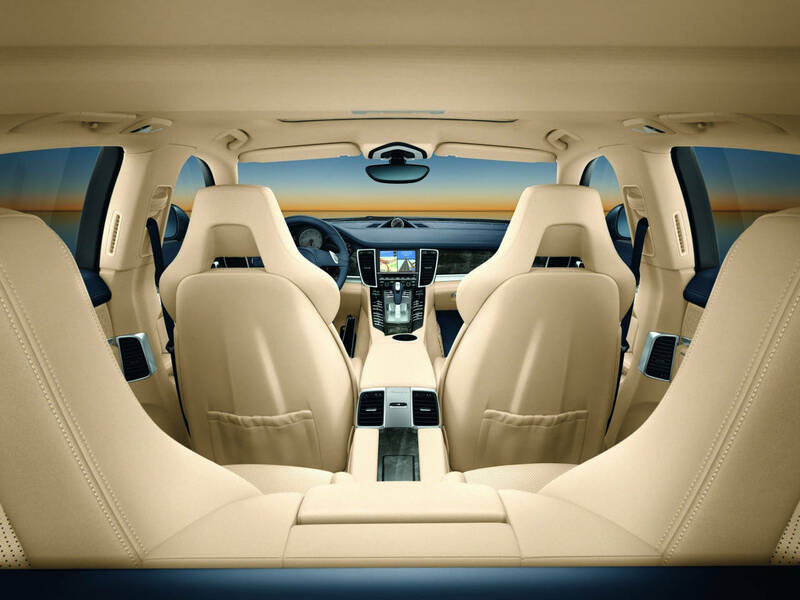 NOTE- If you are a regular at Indian Autos Blog, then you would have seen the interior of the Porsche Panamera. Well, sort of, as it has been featured here not once, but twice. Porsche has released a few images of Panamera's interior. Complementing the exterior, the inside looks very elegant, sophisticated and functional. The center console features an array of infinite buttons that resembles a Blackberry ! 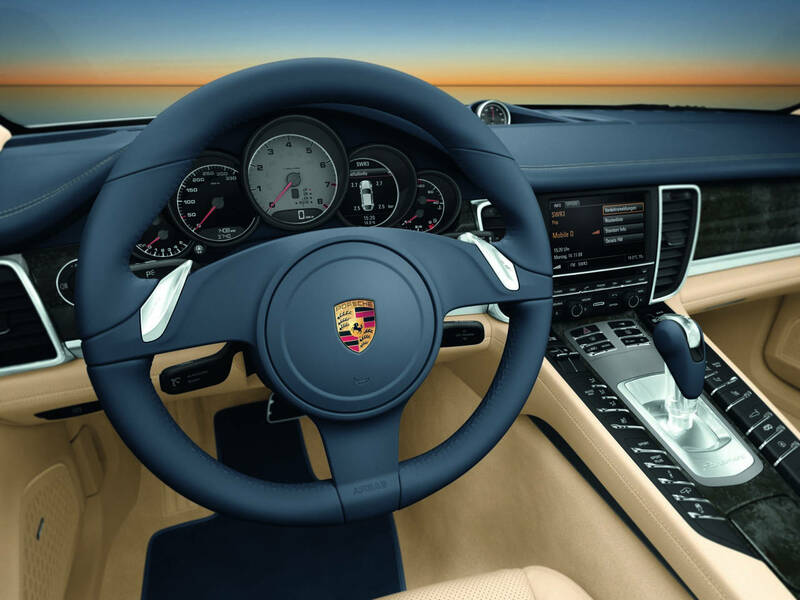 The steering wheel has thumb shifters to select the ratio of the seven-speed PDK dual clutch gearbox. Backseats seem to look as comfy as the front counterparts. This we think, is the only Porsche that will be able to seat 'Human Beings' in the rear (leave alone the Cayenne for the moment). 13 colour and metal combinations; Trim options including Carbon Fibre and Natural Olive wood. The Panamera goes on sale in Germany on September 12, with a 4.8-Litre S model starting at €102,251 including VAT (around $130k USD). India will get the Porsche Panamera in September 2009 and will be priced above Rs.86Lakh and upward. At launch, only naturally aspirated and turbocharged V8s will be available. Possibly in 2010-11, a V6 hybrid will be on the cards, and not to forget, a diesel as well! 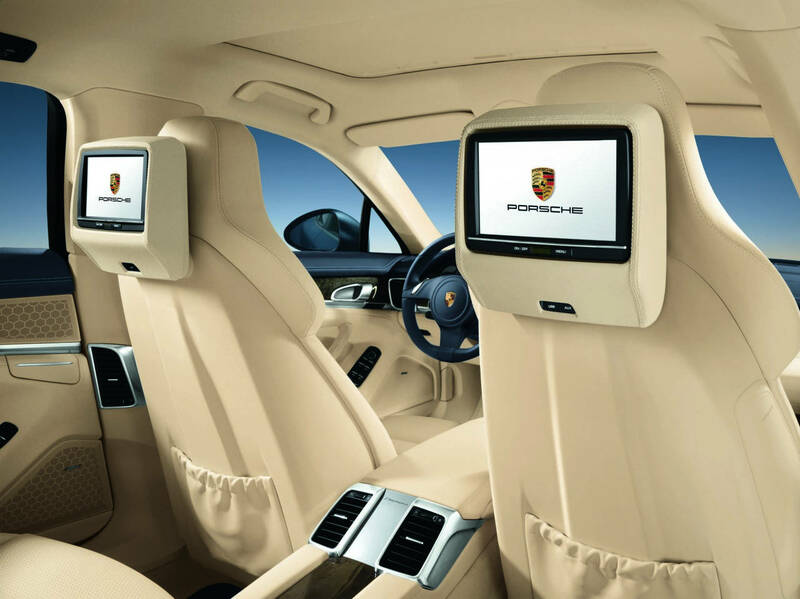 February 12, 2009 —- Today, Porsche AG for the first time presents its Panamera four-door gran turismo interior concept. The much-anticipated addition to Porsche’s performance lineup will make its U.S. market debut on Oct. 17, 2009. An available four-zone climate control system gives each seating area individual control of functions such as temperature, air distribution and venting direction. In the unfortunate event of an accident, front, side and curtain airbags help protect the front occupants, while standard rear side airbags help protect those in back. 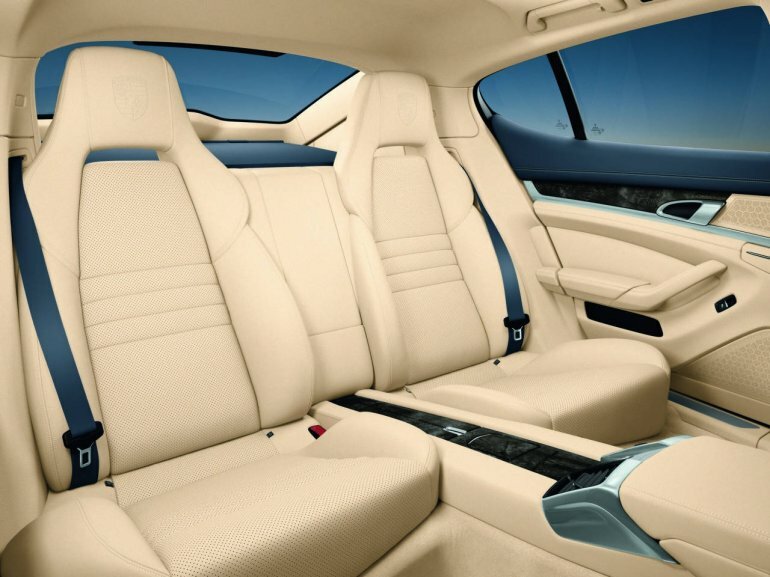 The Panamera S and Panamera 4S feature eight-way power seats in front with a driver memory package. In the rear are two individual seats with a folding rear console and plenty of room. 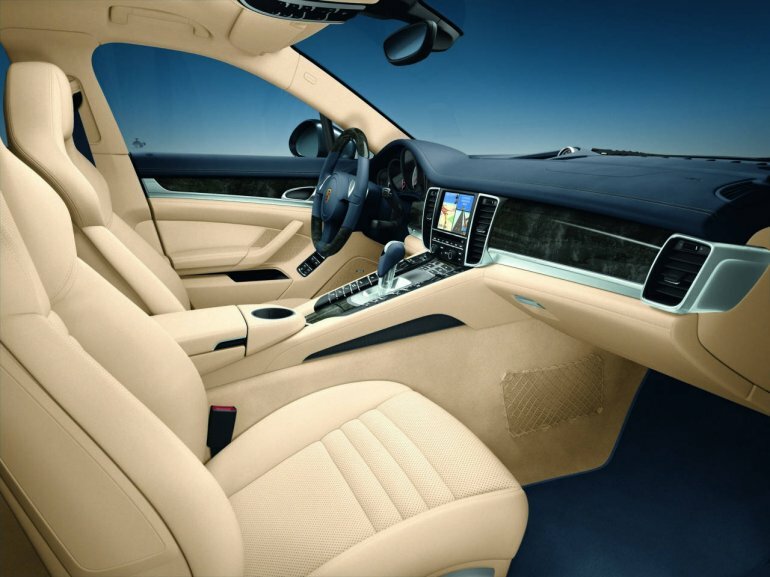 The Panamera Turbo has power seats with a memory package for not only the seat functions but also the electronically adjustable steering wheel. Further seating customization is available through optional alternatives such as 18-way Adaptive Sport Seats or fully adjustable eight-way power seats in the rear. Porsche for the first time will offer from Burmester® — the renown Berlin audio manufacturer — a new ultra high-end surround sound system. With 16 loudspeakers plus a subwoofer (a total of over 2.5 square feet of speaker surface area) and a total output of more than 1000 watts, this new system gives listeners a grand acoustical experience. 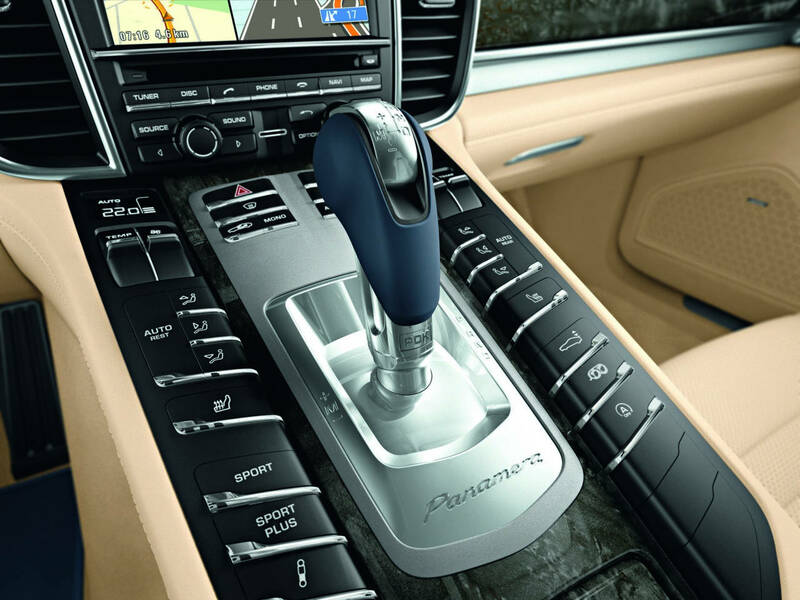 And like the 2009 Porsche sports cars and SUVs, Panameras will be available with the latest personal electronic connectivity features, including Bluetooth for cellular telephones, Universal Audio Interface for connecting personal audio devices, and satellite radio. 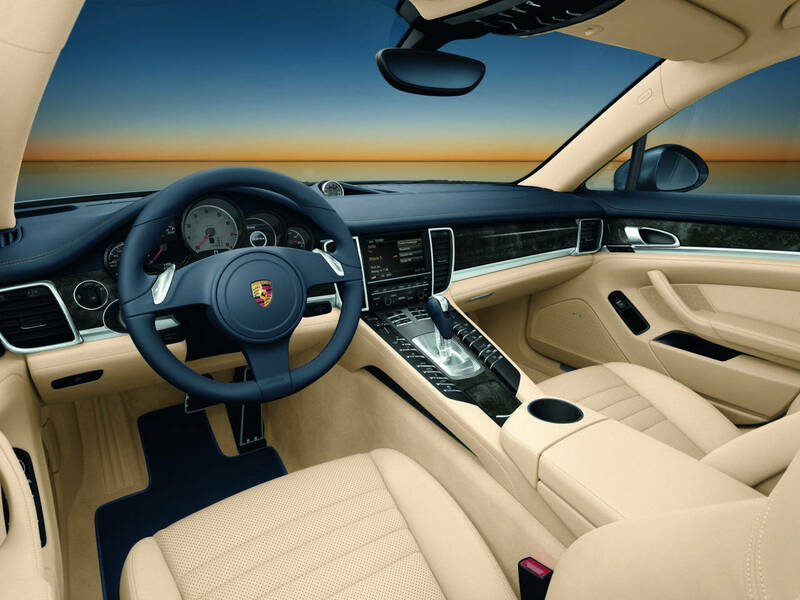 The rear-wheel drive Panamera S has a 400-horsepower, 4.8-liter V8 engine that can propel the it from 0 to 60 mph in 5.2 seconds on its way to a top test track speed of 175 mph. The manufacturer suggested retail price (MSRP) is $89,800. The all-wheel drive Panamera 4S receives the same 4.8-liter powerplant. It sprints from 0 to 60 mph in 4.8 seconds, achieves a top test track speed of 175 mph, and has an MSRP of $93,800. At the top of the Panamera lineup is the Panamera Turbo with its 500-horsepower, twin-turbocharged 4.8-liter V8. Also featuring the new PDK transmission, the all-wheel drive Panamera Turbo sets a breathtaking 0-to-60 time of 4 seconds flat and a top test-track speed of 188 mph. The Panamera Turbo has an MSRP of $132,600, and all three Panamera models will go on sale in the United States this October.